Give the gift of movement. This Franklin Method® bundled package contains a Franklin Smooth Ball™ Set as well as a copy of The PSOAS: Integrating Your Inner Core. Balance and strengthen the inner core muscles with The PSOAS: Integrating Your Inner Core by Eric Franklin. The book reveals Franklin Method ball rolling and imagery exercises that improve hip flexion, leg extension, posture and more. 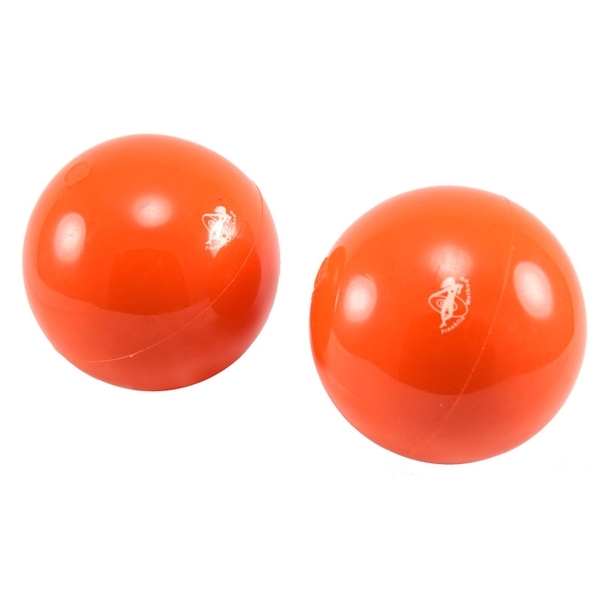 The smooth surface of the orange Franklin balls provides deep muscle penetration that goes to the source of the trigger point without aggravating soft tissue. Ideal for movement therapy and the Franklin Method exercises featured in the book. Approximately 4" in diameter. Set of two. Latex and phthalate-free. Franklin Balls come partially inflated but needle inflating pump is required to adjust firmness (sold separately). Don&apos;t forget the air pump!